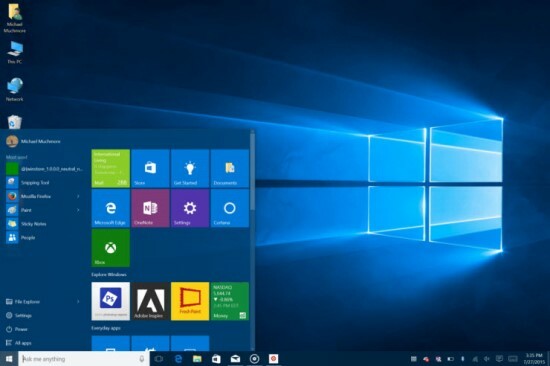 If you’re currently running Windows 7 or 8 on your laptop or pc, and you’ve been on the fence about upgrading to Windows 10, you may want to make your mind up pretty soon. This Friday, July 29th, 2016, will be the last day you’ll be able to upgrade to Windows 10 for free. If you want to upgrade after the 29th, it will cost you roughly $120. Conversely, if you don’t plan on upgrading maybe Microsoft will finally stop with their constant ‘encouragement’ to upgrade. I personally Like Windows 10. I was a Windows 7 holdout for the longest time, then I bought a low powered Cloudbook, the Windows version of a Chromebook, that came with Windows 10 and I was hooked. I think that Windows 10 runs better on lower powered hardware than Windows 7 did and it corrects all the problems that Windows 8 had. The upgrade has not been without its problems though. There have been stories of the upgrade going wrong for some people. Because of that I can’t stress enough to make backups of all your important data before upgrading. As a matter of fact I would make two backups of your data before upgrading. Lastly, if you upgrade and then you decide Windows 10 isn’t for you, you can quickly revert back to your previous versions of Windows.